PALEO JAY SMOOTHIE CAFE: Healthy eating, Paleo style, on the road! Listen to the latest episode!! Healthy eating, Paleo style, on the road! Here are the hands of your own PaleoJay, cradling the sumptuous supper of lamb, sweet potatoes, zucchini and sausage at the Trempealeau Hotel in the small Mississippi river town of Trempealeau, Wisconsin! The menu was replete with shrimp, steaks, salads etc., all ready for a traveling Paleo person to have a tasty meal packed with nutrition! It seems that there are still many places to go where good, ancestral types of food are readily available. Just as in buying our food, the very best quality food is available from small, independent restaurants; places where great pride is still taken in excellence of ingredients, and in careful preparation- quite the opposite of the big "Chains" that are all about cutting corners, using the cheapest ingredients to maximize profits, and spending most of their extra money on advertising to seduce you into patronizing them. The Trempealeau Hotel is one of these small eating places of excellence. 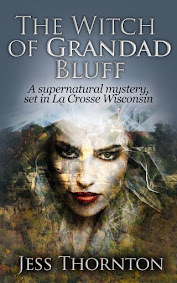 If you are passing by La Crosse on I90, it is well worth your while to get off at hwy 157 in Onalaska and head north to the Trempealeau sign, and then west to the Hotel! You will even pass within a mile of the fabled home of yours truly... be sure to wave! 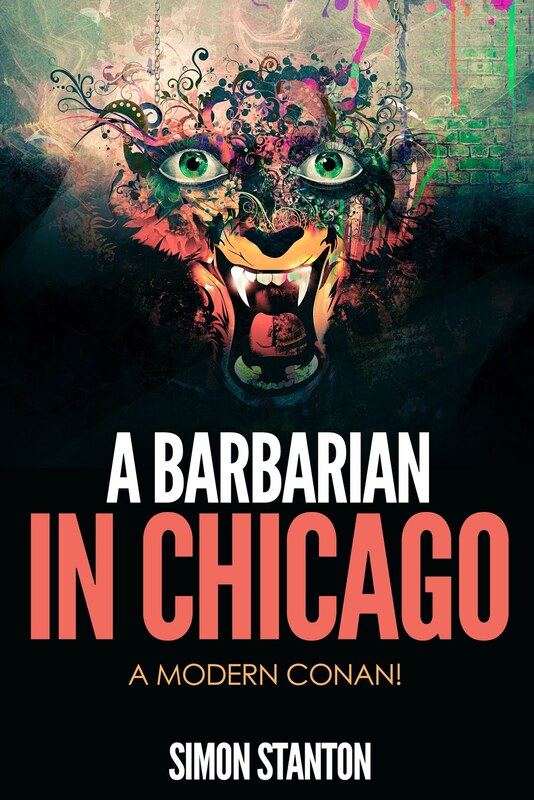 My point, besides being a brief travelogue, is that of bypassing what has become the degraded nature of the Mass American diet and culture of today, and seeking out those places that are more like what our culture embraced 50 and more years ago. Small independent restaurants, small and independent farmers- this is where we need to be spending our dollars! Not on fast/crappy food, or big/crappy chains, but to those who have traditional or ancestral values of quality. 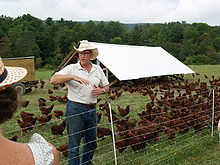 I believe one of the most important figures today in a sustainable farming model of excellence is Joel Salatin of Polyface Farms. A working farmer, Joel is also an excellent speaker, and a convincing role model for traditional agriculture. Joel's most recent book, Confessions of a Lunatic Farmer, is must reading for any modern person seeking health and sanity in our crazy modern world! I think Polyface farms is following that tradition. 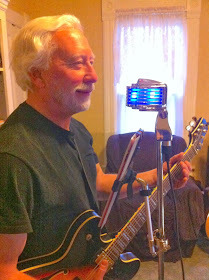 J, Phil and Holly at our last nursing home "gig"
Paleo Quick Tip and PaleoJay's Smoothie Cafe podcast episodes now combined! Perfectly Paleo Exercise- click book cover to order! 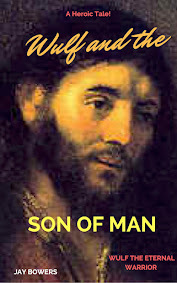 Here is my inexpensive ebook version!! From exercise, to nutrition- it's all here! 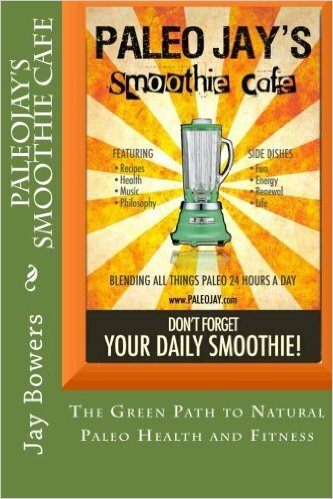 PaleoJay's Smoothie Cafe Paperback book! Join the FUN! 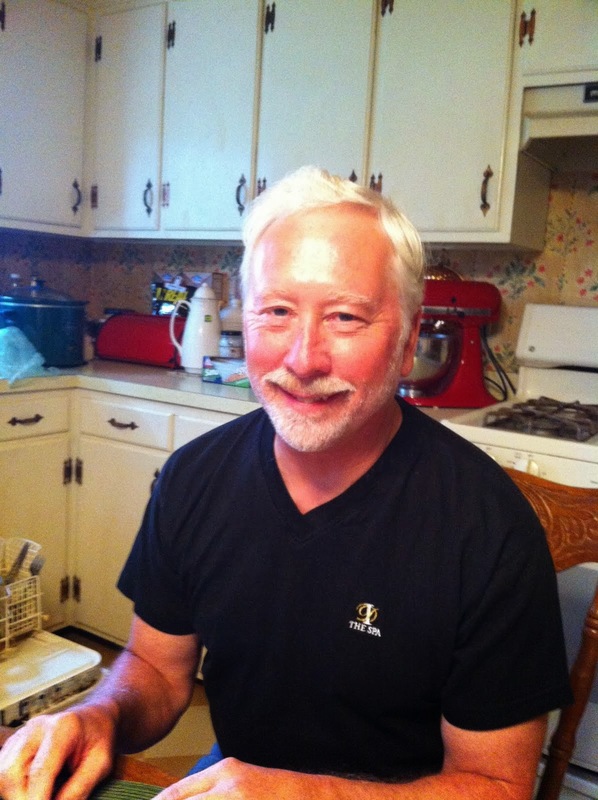 Sign Up for Paleo Jay's Smoothie Cafe UPDATES! Free signup on our mailing list below-Have our latest cafe news delivered right to your inbox! The Very Best Barefoot "SHOE"! Xero shoe-It's a huarache... in any color you want! A weekly free podcast on iTunes- just click on my talking head! 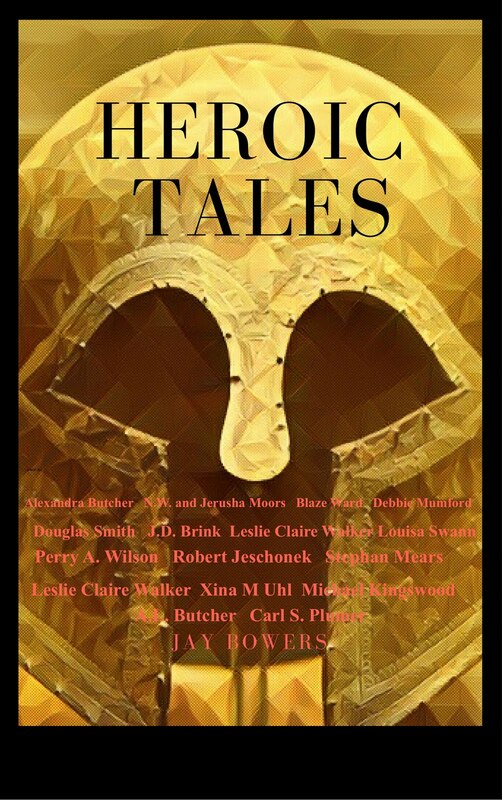 For Kindle reader, or Kindle APP! Paleo Quick Start in the iBookstore! 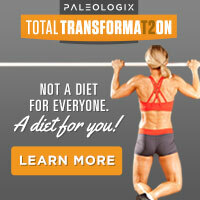 Check out our Sister podcast- Paleo Quick Tip of the Day! 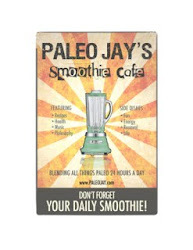 Support PaleoJay's Smoothie Cafe- place your Amazon orders through THIS LINK! PaleoJay recommends Robb Wolf ! Click here to change your life! Give me a review on Stitcher, just click on my shining head! Click to read about the Healthy Baby Code! Click for the High Cholesterol Action Plan! Buy Paleo paraphernalia by clicking below. The eBook that gets you into the Paleo lifestyle, on your iPad or iPhone! Paleo diet to lose fat! Dr. Terry Wahls interviewed by Sean Croxton on Underground Wellness! Good stuff- Y'AALL! High Fat Low Carb Diet is the same as a Paleo Diet! Paleo Quick Tip of the Day #38- Sleep is more important than exercise AND nutrition! Paleo Diet, Dairy, and home made Kefir! A Vitamix is a chewing machine! 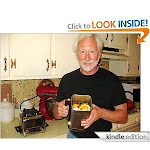 The Bulletproof diet- Paleo modernized?? How to Make Yourself Lean and Healthy! Is the Paleo Diet just our Grandparent's Diet? How to Make Yourself Fat and Sick! What's so bad about GRAINS? Perfectly Paleo Things you DON'T DO! New Single by the Coulee Gospel Cats!